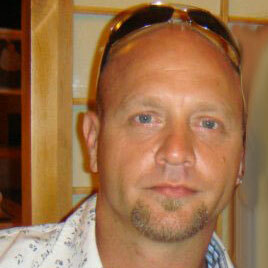 Paul Marek first opened 3RINGSTUDIOS in November 2000 while working briefly as a freelance web developer shortly after graduating from Trios College / Computer Technology Institute in Mississauga, near Toronto. With diplomas for Web Site Development and E- Commerce Integration (IBM and Microsoft Systems), Paul embarked on building 3RINGSTUDIOS – offering a full service internet solutions firm to small and medium size companies in the Greater Toronto Area. Paul used other freelance developers to assist in completion of projects. While developing initial web projects, Paul became very interested in getting his sites ranked at the top of the search engines – using a process known as ‘search engine optimization’ (SEO). 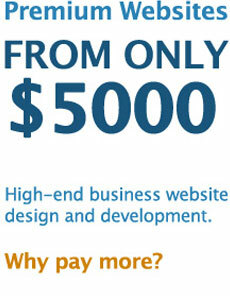 This technology was virtually unknown and untouched by other web designers and developers at that time. In the early days of SEO Google was not widely known and Yahoo! and AltaVista were the search engines of choice. Seeing the potential of this highly useful technology, Mr. Marek focused on sharpening his skills to become a leader in the SEO industry. Since, at that time there were no certification courses for SEO, Paul developed his search engine optimization and online marketing expertise by becoming involved in many online forums and newsletters offered by other experts who wished to share their experiences. By committing his time and energy to researching and developing his skills, and continually testing and researching this virtually untapped field (and by leveraging the base network of clients to enhance the potential of each campaign) 3RINGSTUDIOS quickly became leaders in the field providing services to many small and well known companies. Over the past 5 years Paul has consistently provided excellent results for clients of all sizes. Since 2005, and after rebranding in 2010 as 3RING.com, Mr. Marek has taken growth over the 1000% mark, with even greater growth potential in the near future. No-one else can harmonize the ever changing tones of search engine marketing with the sharp complexities of coding and the subtleties of design like we can. Like to work virtually? Love what you do? Want to make great money doing it? We encourage all qualified candidates to submit applications. Items we thought were newsworthy that are related to us as individuals or as a company, our industry, our communities, and maybe even you.